Preventative care is the foundation of oral health. You should schedule a routine cleaning and exam twice a year. During cleanings, Dr. Olszewski will remove bacteria, plaque, and tartar from your teeth to prevent future discoloration and decay. She will also conduct a thorough exam using digital x-rays and other advanced tools to look for the early signs of cavities, gum disease, and other dental concerns. During routine dental exams, Dr. Olszewski will conduct a visual and physical exam to look for lesions and other abnormalities that could indicate the presence of oral cancer. She may order a biopsy if she finds anything unusual. When detected early, oral cancer patients have a much better rate of remission. If you are experiencing advanced tooth decay, root canal therapy may be the only way to save your tooth and end the discomfort of infection. 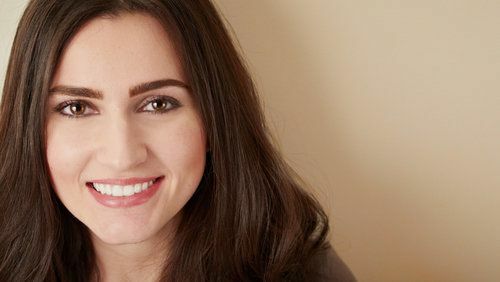 During this treatment, Dr. Olszewski will remove the decayed portions of the tooth, including the infected pulp from within the tooth, leaving the healthy outer structure in place. Finally, the tooth is restored with a custom dental crown. 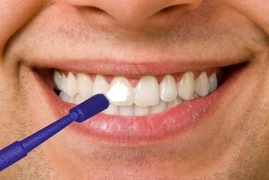 Gum disease occurs when bacteria collects below the gum line. In the advanced stages, the condition can cause your gums to pull away from the teeth, which can lead to tooth loss, jawbone degeneration, and other complications. Gum disease has also been linked to serious health conditions such as cardiovascular disease and diabetes. Dr. Olszewski offers complete periodontal care to reverse the early stages of gum disease or treat advanced cases. 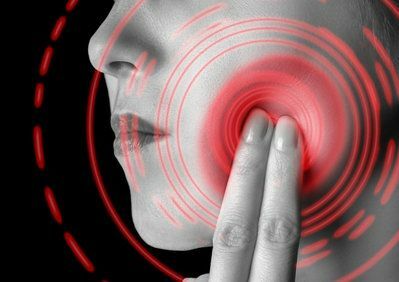 Temporomandibular joint (TMJ) disorder involves symptoms including facial pain, chronic migraines, neck pain, and a clicking noise when you open your mouth. 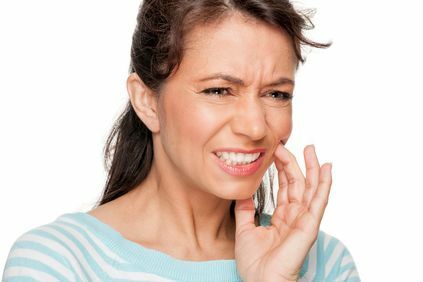 Dr. Olszewski offers several treatments for TMJ disorder, and she will always begin with the most conservative care. Treatment may start with a temporary soft diet, ice or heat packs, facial massage, or anti-inflammatory medication. More advanced treatments include orthodontics, restorative dentistry, flushing the joint, and cortisone injections. Dr. Olszewski recommends that children have their first dental appointment around their first birthday. At this first visit, she will simply talk to your child and conduct a quick visual evaluation of his or her oral health. Our friendly hygienist will introduce your child to the dental chair when he or she is a little older. We also offer treatments such as fluoride supplements and dental sealants, which can help protect children's teeth. Nitrous oxide is available to help patients with dental anxiety relax during treatment. Wisdom tooth extraction is a common procedure performed to minimize the risk of complications to neighboring teeth. Also known third molars, these teeth are ideally removed in the teenage years. Without timely removal, most patients will experience side effects that will compromise their oral health. The procedure is conducted under anesthesia to minimize discomfort. 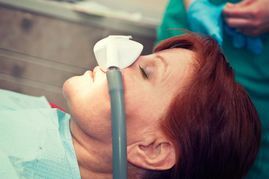 Especially anxious patients may also benefit from nitrous oxide. 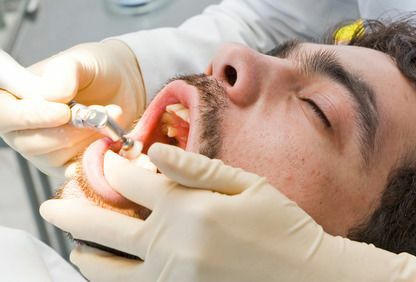 Sedation dentistry can help anxious patients undergo the dental treatments they want and need. In addition to helping those who feel particularly nervous, sedation may be recommended for patients with certain medical conditions, like arthritis, or a sensitive gag reflex. Complex procedures, like full mouth reconstruction, might also qualify patients. Dr. Olszewski offers different types of sedation, such as nitrous oxide, depending on the patient’s needs and preferences. Routine dental exams can preserve your oral health and prevent serious dental problems in the future. These exams allow Dr. Olszewski to examine your teeth and gums for signs of oral health complications and schedule any additional treatment that may be necessary. A dental exam also includes hygienic cleaning, which allows our dentists to remove any plaque, tartar, or bacteria that has accumulated since your last exam. Patients with autism, Alzheimer's, cerebral palsy, and other conditions require personalized accommodations. Standard dental offices can be overwhelming for patients with special needs, and often lead to anxiety, fear, and other discomfort. Dr. Teddi takes every measure to create a calm and relaxing environment in her office, and can provide sedation and other accommodations when necessary. Dental braces can correct a misaligned bite, an overcrowded mouth, or issues involving your jaw. These fixes will allow you to speak, eat, and smile with complete ease. 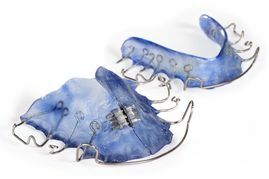 Despite being made of metal, braces have become more comfortable over the years. Our patients will usually wear their braces for at least one to three years, but actual time worn depends on each patient's individual needs. Many patients have a justified fear of visiting the dentist - some procedures can be quite uncomfortable! We believe in establishing a solid rock of trust with our patients, and will provide numerous accommodations to make your experience as comfortable as possible. Dental anxiety can occur in patients of all ages. Depending on the case, our sedation options can provide the best line of defense against your dental anxiety. Fluoride is a naturally occurring substance that protects your teeth against decay. While it is mainly used for children, we can also provide fluoride treatments for adults who are prone to cavities. 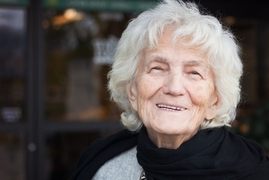 We understand that seniors have different needs than other patients. As we age, our smiles change and require specialized care. 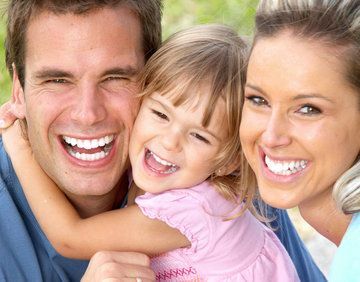 We can monitor your oral health for risk factors and provide home care techniques to help you maintain the health of your smile at home. 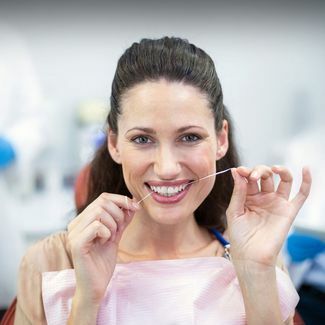 Proper brushing and flossing technique is key to maintaining good oral health between professional cleanings.